How to learn Italian or any foreign language? | "Blogging by the Road not Taken"
"Blogging by the Road not Taken"
Home ProductivityHow to learn Italian or any foreign language? How to learn Italian or any foreign language? As an English speaking Indian engineer in 2010, I adapted a lot in Italy. Within five years, I was selling Western Union services to the most busiest shops in Italy. Before that, I worked for a while in Turin. Six months as an Investment Consulting Analyst at Mercer really trained me for the Italian job. Am very thankful to my previous colleagues at Mercer for giving me the wonderful opportunity. They really motivated me to speak Italian. Breaking silly barriers, I was soon improving at a very rapid pace. 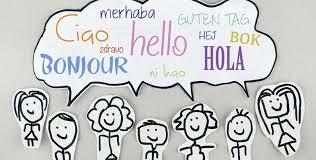 To learn a language it is very important to speak with as many people as you can. Very often, I learned a lot from certain people. Some accents are easy to understand while the others can prove to be difficult. The key is to start speaking somehow. To get there, you need to start with the basics. Study the basic A level course work from a book. Try to immerse yourself in the culture. You need to love the language to learn it. Can anyone learn a new language? Yes you can! Everyone can. However old you are, you can learn a new language right from today. When I first came here to Italy with a nice “Learn Italian” book and balls of steel, most of my colleagues from other countries could actually speak a little Italian. On the other hand, I knew a few basic words and was hoping to learn a few more words during my stay here. Had not actually planned on doing Sales in Italy within 5 years. Living here does help you to practice. But when you can hardly speak a language, you are not really prepared to start making conversations. That is exactly the thing pushing you back from mastering a new language. Earlier in 2005, I saw my Hindi develop considerably when I moved to Delhi. I knew that to learn Italian, i would have to completely indulge myself in the language. So I took the baby steps. Studying grammar from a book that teaches you the basics, will build you enough vocabulary to make simple conversations. If you can reach this level, then its all about listening and reading. Find different people to speak with, including those who speak at your level, worse and also better. Learning phrases from different friends during my study here, really helped. Find forums on interesting topics and read reviews etc. Simple brief communication in a forum by different individuals exposes you to different styles of phrases that could be mimicked later by you like a pro. Just like how any investment wont start giving you big returns straight away or how going to the gym consistently for a longer time yields results, learning Italian or any new foreign language needs patience. You could diversify your assets, mix up your exercises and diet and also try various forms of language learning. Try to make the process a bit sub conscience, by listening to music or watching you tube videos, so that you learn the language just like how you learned to speak your native language in childhood. I have seen Italian guys speaking all the English they ever spoke with pretty female foreigners. If you find the right people to speak with, learning will be a breeze. My flatmate Michele Morreale from Read Italian blog “Lo Stagista Parlante”, is all too willing to help you out with Italian. In return, he asks for a nice story on how you found him. Language exchange is a fun way to meet new people. Most non English speakers in the world would pounce on an opportunity to practice their English. If you are reading this, then you would do perfect in helping a lot of people reach your level. The market is HUGE. Check these two channels out, both are awesome! You could just listen to these two for over 100 hours and start feeling more comfortable with your listening skills. Its all about the hours you put in. Sometimes you just need to force yourself to study, and listening can be a relaxing way to master any language. Milankaraja knows the best. Look no more. Bushlark could be the ultimate travel app. Thank you! hope to see you back in this blog to check out more awesome stuff..
yes! The most fun Italians on youtube! Thanks John, I would be updating this article with more inputs soon. Glad that you found it useful. Hi, Flurishh.com seems like a very comprehensive blog with loads of useful info. It would be awesome to collaborate in some ways. I am currently traveling and would like to get back to you asap. Thanks for visiting. cheers! Thank you so much. I try to make small improvements everyday, but I really hope to make this an awesome blog in time. Will also be editing content to improve quality when I find time. Thanks again for visiting! Thank you so much. Really hope to further improve the content here as I find time. You are awesome! You motivate me to write better.. Thank you! I am using codium now theme from wordpress, which is mobile friendly. Maybe if you would like to spend more time on other stuff, you could try a ready made mobile friendly theme like “codium now” . Just download all your files and upload it to a new modern theme from wordpress. Next PostNext Why we need Trees on buildings? Milan goes green!